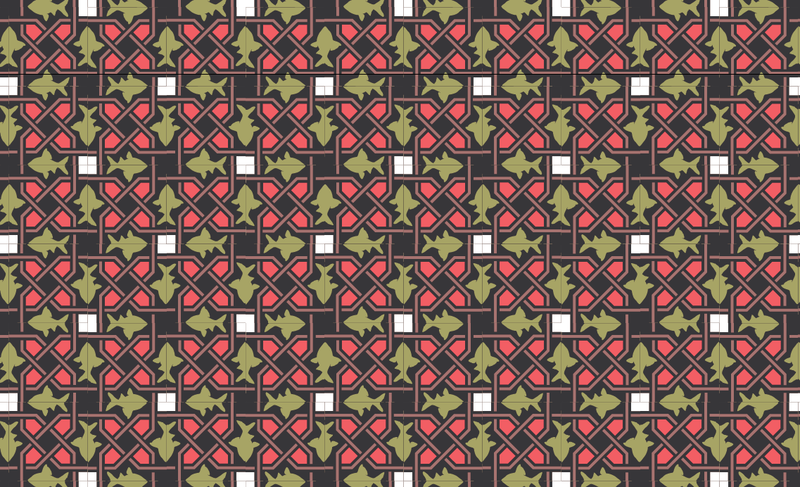 Pattern design. Graphic & Spatial design, combined. 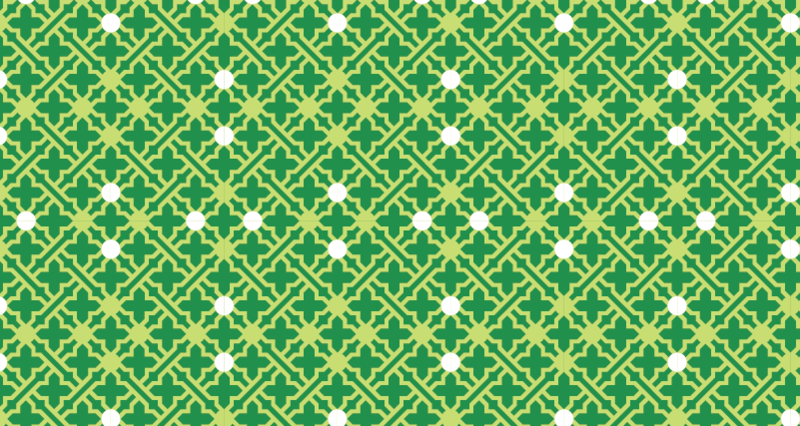 When studying graphic pattern design, lattice work and stuccos from around the world (with a finacial grant from the FBKVB) it delighted me to see that Muslim, Hindu, European (medieval) and Asian patterns have common roots. 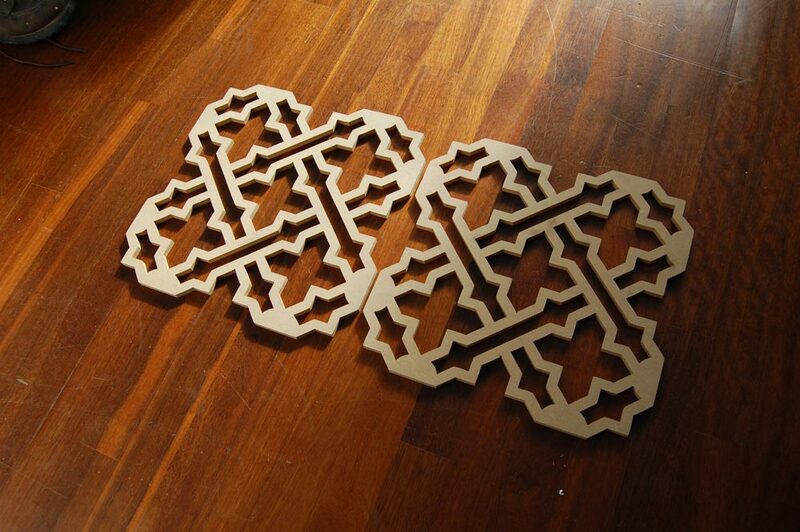 It is wonderful to see that the pattern designs people across the world use to adorn their holy sites, objects and books with, are basically a mix of abstract life. Budding plants, seeds, eggs, stalks and geometric shapes. I think everyone basically worships life itself. I am very much in awe of the grandmasters of pattern design. 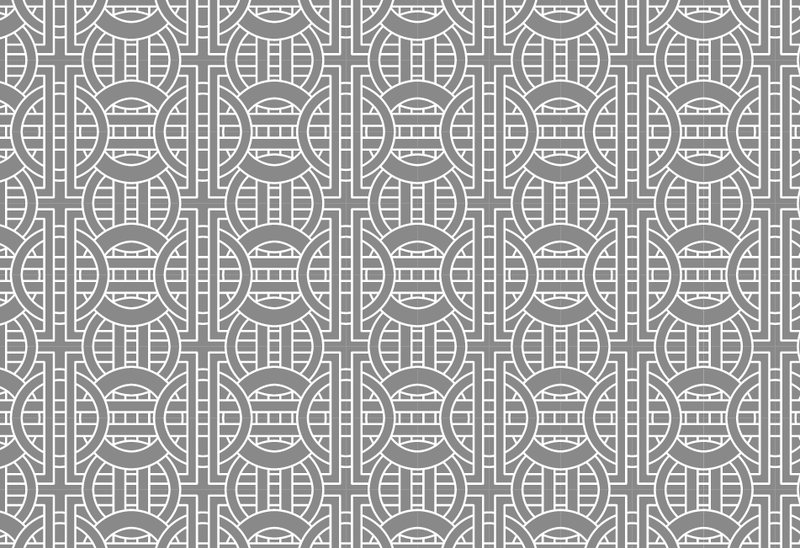 I mix elements of ancient pattern designs with what I love about circuit boards, subway maps, chrystal patterns etc. I borrow, mix, add and try to avoid religion. My goal is to figure out what makes attractive shapes and lines. Here are some examples of my graphic pattern designs.